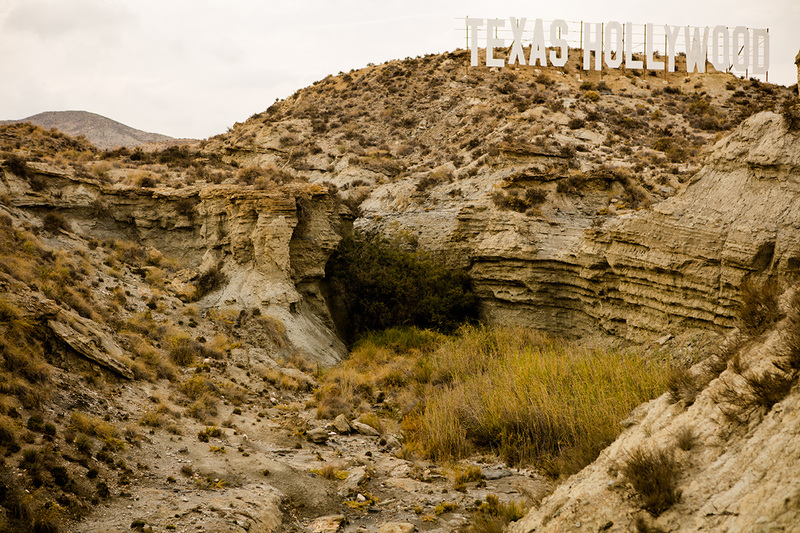 Originally an elaborate fortress constructed in 1969 for the film El Condor, this site was reused over the years for a variety of films, usually involving lots of dynamite. Titles include Blindman (1971) —with Ringo Starr as a love-struck Mexican thief—A Reason to Live, a Reason to Die (1972), Get Mean (1975), Conan the Barbarian, and Dollar for the Dead (1998)—a Sergio Leone tribute starring Emilio Estevez. The painted signs that appear—‘Pension Coyote’—are leftovers from the making of Italian film Honolulu Baby (2000), set in a nameless South American town populated entirely by beautiful women. 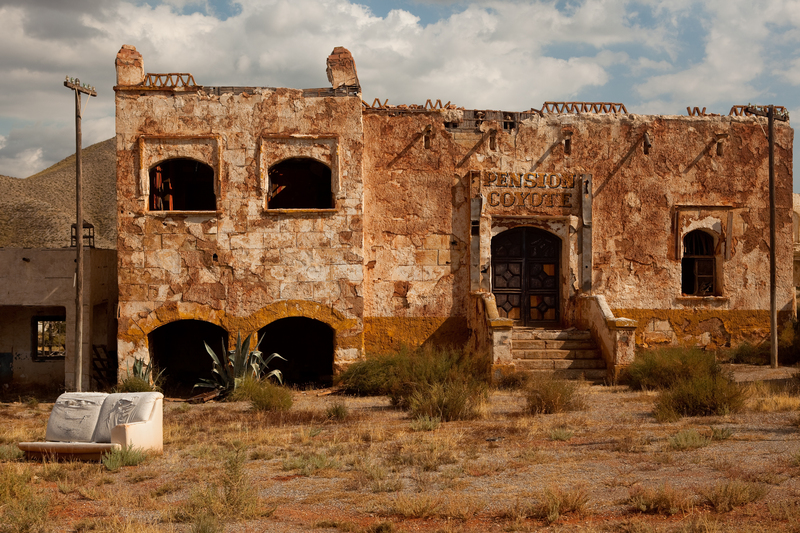 The ‘Pension Coyote’ originally served as the General’s house in El Condor, from where actress Marianna Hill strategically undressed in front of a second-floor window to distract the fortress guards, while Jim Brown and Lee Van Cleef quietly climbed the fortress walls. The crumbling fort sits on private land, accessible only by hiking from a nearby access road.